There is an abandoned party store on State Fair Avenue in Detroit. It is located just west of the I-75 expressway. It’s an interesting one-story building, constructed in the Art Deco style that was popular in the 1930’s. 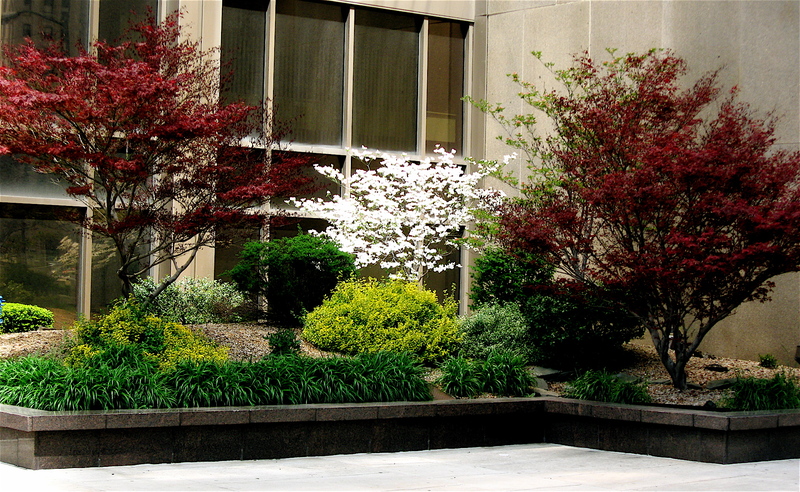 It has the classic Deco lines and features, curved corners and a rounded overhang that juts out over the sidewalk. However, it wasn’t the traditional architectural style of that era that caught my attention while riding past it on Sunday. 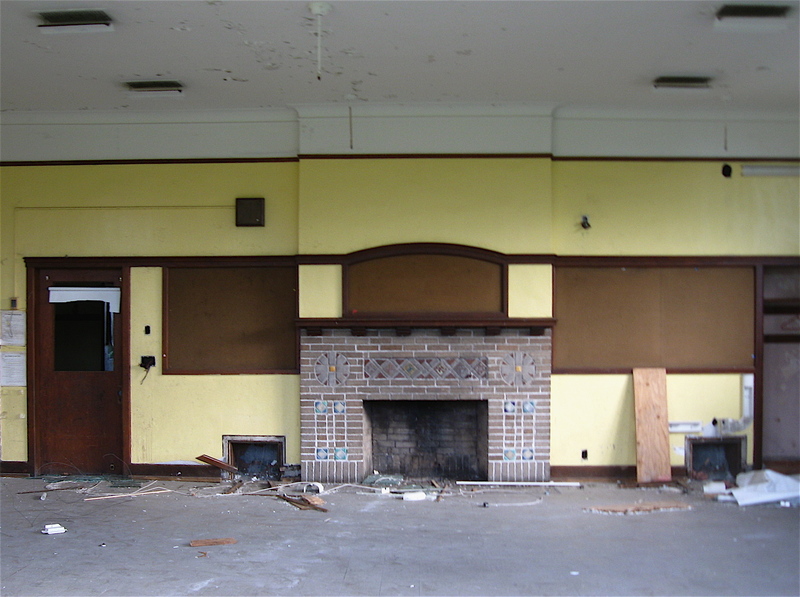 It was the unusual looking, school type blackboard that was created on the face of the building, where the windows and door once were. 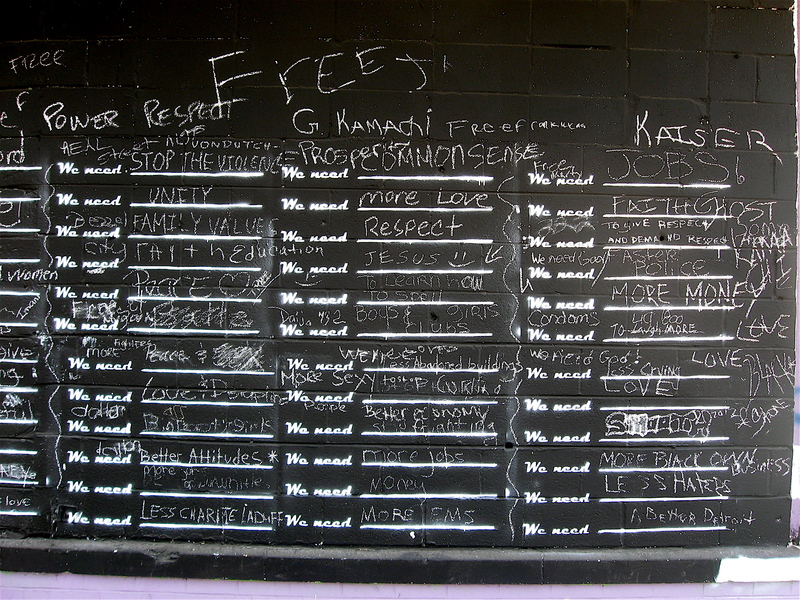 The blackboard was covered in words. Not random words one would expect, but words in an organized manner. 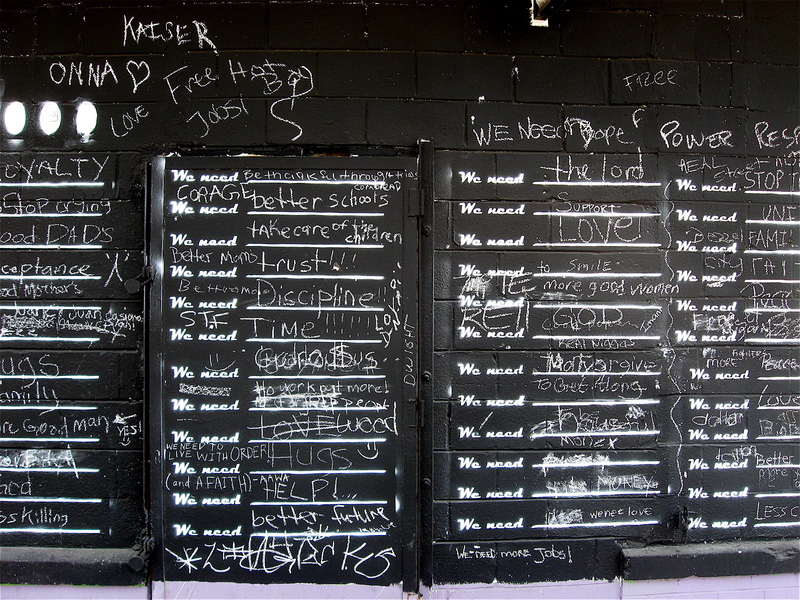 On that pseudo-blackboard was the bold headline “We Need…”. Below that attention-grabbing headline are eight, word filled, columns. Each of the columns had 12 lines; all began with “We need”, in the same letter font style as the bold headline. 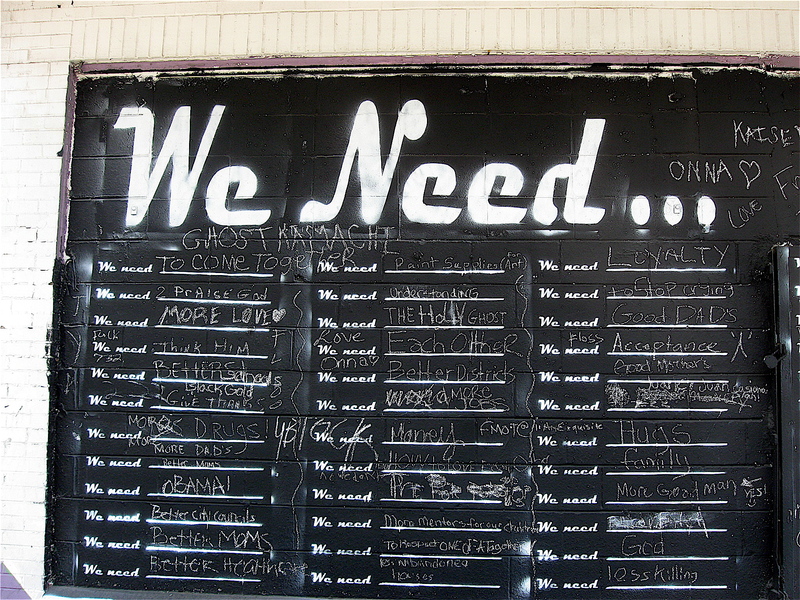 Next to the pre-painted words “We need”, there is a painted straight white line flowing right. On those lines people have written in words, with chalk, things that are important to their quality of life in that poor neighborhood of Detroit. The words found on those 96 lines on the wall are eye-opening and range from humorous to practical. There are the usual messages one would imagine on urban walls such as: We need “More Money”, “Respect”, “Less Killings” and “Jobs”. Others I saw were amusing and unexpected: We need “Less Charlie Laduff” (a local TV news reporter), “To Learn How To Spell” and “Condoms”. Many of the filled-in words are hard-hitting and truthful, and I believe mirror life in that old neighborhood: We need “Better Schools”, “Respect”, “Better Attitudes”, “More EMS”, “Faster Police”, “Paint Supplies (for Art), and many others. Some of the more emotional messages I saw were “to Stop Crying”, “More Dads, “Better Moms”, “More Grandmas”, “More Mentors for Our Children”, “Good Dads” and “To Smile”. I’m sure all 96 plus messages have special significance and are personal to those posting to the wall. While reading through the variety of needs listed, a couple stood out for me. They are words most of us have heard many times, over-and-over, and they make complete sense: “Stop the Violence” and “A better Detroit”. This city needs both. 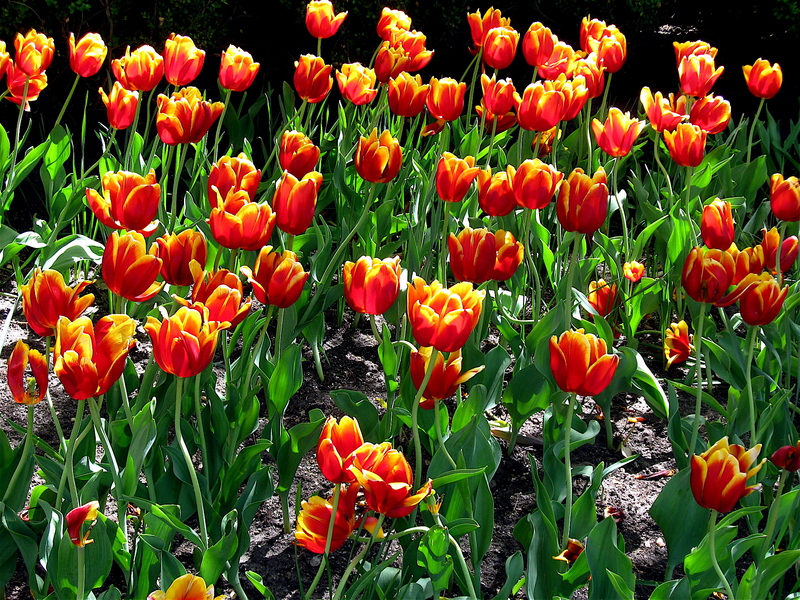 Reminder – click on the photos to view them larger. 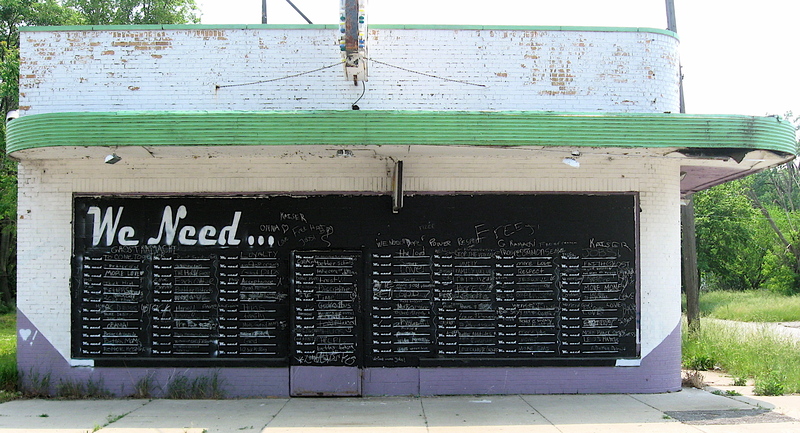 There are plenty of storefront churches in Detroit. 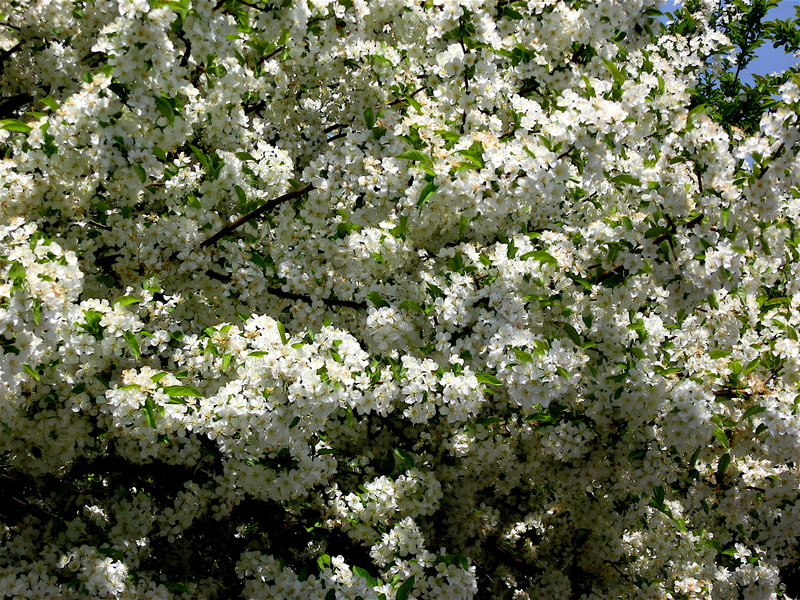 I see them on the city’s main roads, along lesser traveled streets, and within some of the toughest neighborhoods. Almost all of the places of worship I pass while riding my bike, no matter the size, have entrances that are usually secured with steel doors, held in place with countless locks. This is especially true for those found on the lesser-traveled streets within the city. On many of the same places, the windows are also covered with steel bars, or webbing, in an effort to keep the places of worship from being vandalized. 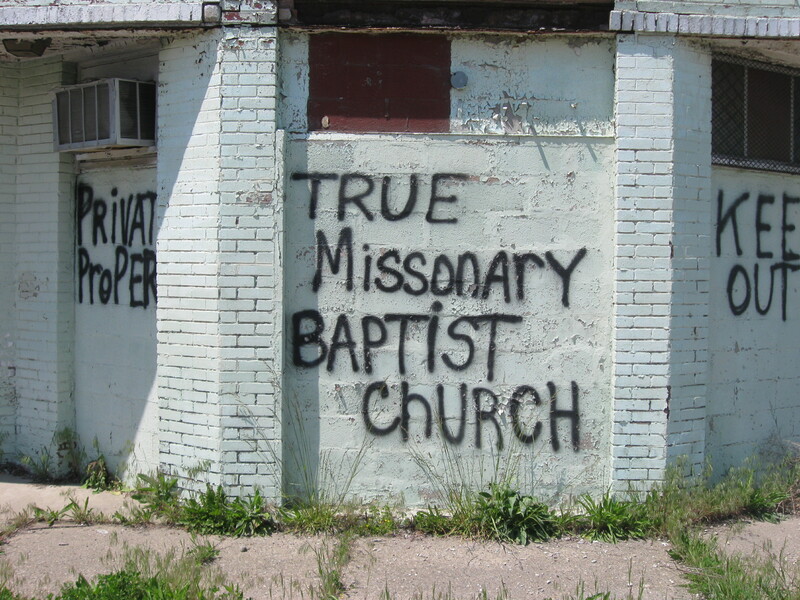 Unfortunately, the churches reflect the hard reality of the area in which they are located. On my early Sunday morning rides I’ve also noticed other security measures in place at the churches. They may have fenced off parking lots with barbed wire snaking along the top. Some of the larger lots have small, elevated booths with security guards sitting in them, peering out at the gate or across the lot. It isn’t unusual to see other security guards strolling the grounds and sidewalks in front of the churches, watching over the congregation as they make their way into their place of worship. They also keep an eye on the cars parked along the street. Other security measures are a little more passive. They may rely on video cameras and big signs attached to the building or fences surrounding them, warning people that they are being watched. Others announce that the building is electronically secured. Others simply say “protected, keep out” or “no trespassing”. However there is one church I came across the other day that uses the word of God to keep the robbers at bay. This particular small church is located in a bare-boned, rundown eastside neighborhood. On or near the doors and small window openings someone had spray painted the typical “Private Property” and “Keep Out” notices. But what makes this place interesting are the words painted on the double-door main entrance. 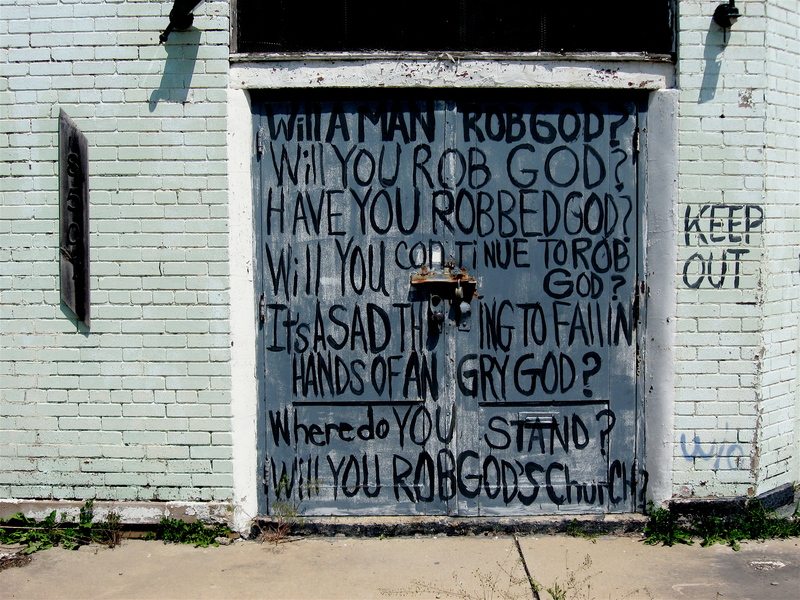 On those doors are a series of one line questions directed to the emotional side of robbers. 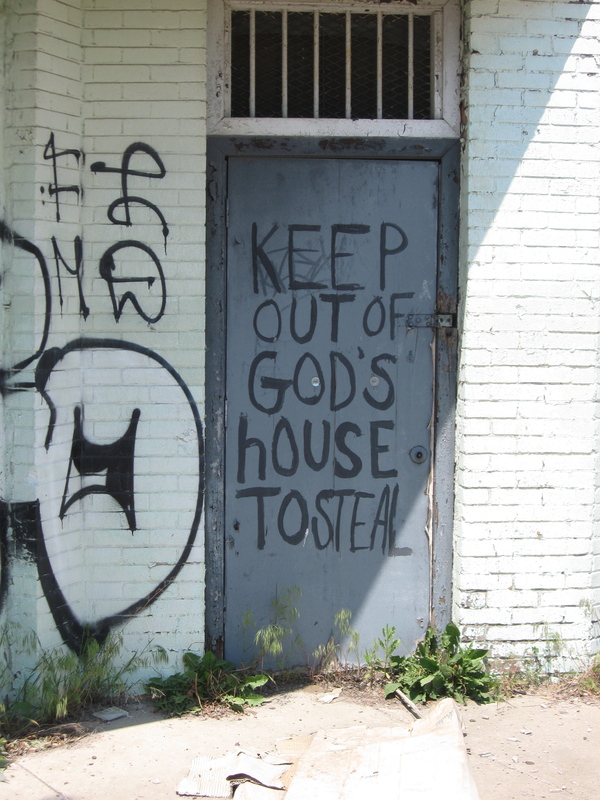 The words ask potential thieves if they would rob God or steal from him. It’s certainly a unique, creative approach to crime fighting, and it gives a whole new meaning to “thou shalt not steal”. 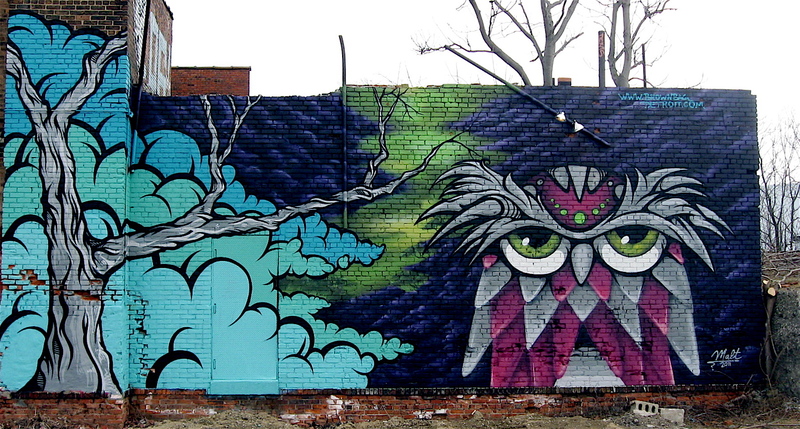 This past Saturday I took a tour of Detroit’s many murals hosted by Detroit Bikes. The ride began and ended at the Detroit Institute of Arts. Along the 20-or so mile route, we passed many forms of wall paintings and murals including lively tile installations, large portraits on an Albert Kahn building slated for demolition and well-designed, executed graffiti. 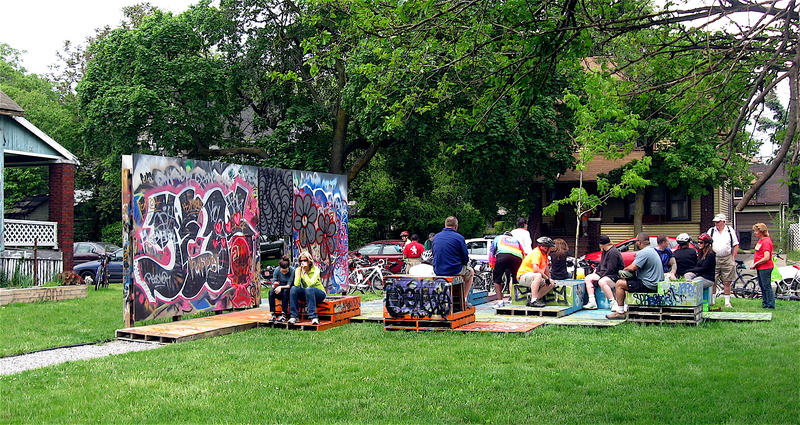 It included various stops, including the Lincoln Street Art Park & Sculpture Garden, near the city’s new center area. There, riders had a chance to view up-close, many large-scale murals that were painted by well know Detroit graffiti artists such as Malt and Deco. Another major stop was in Southwest Detroit. Buried deep within that close-knit neighborhood is an alley. It wasn’t the typical alley one would expect with overgrown weeds, old tires and other trash scattered about. No, the alley I’m referring to stretches a full city block and is home to colorful murals. It is all part of a community organization called The Alley Project or TAP. TAP is a youth based initiative of Young Nation. 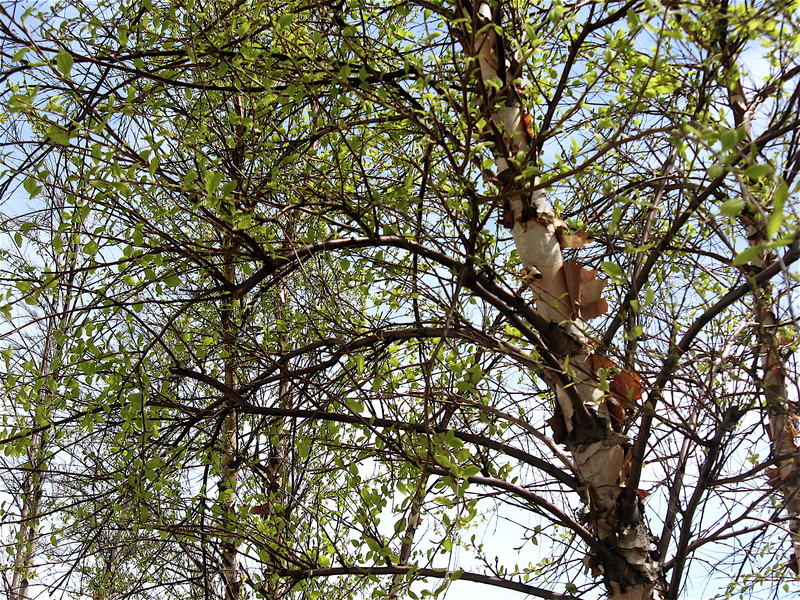 Their mission is to promote the building of relationships through community education and outdoor projects of this type. 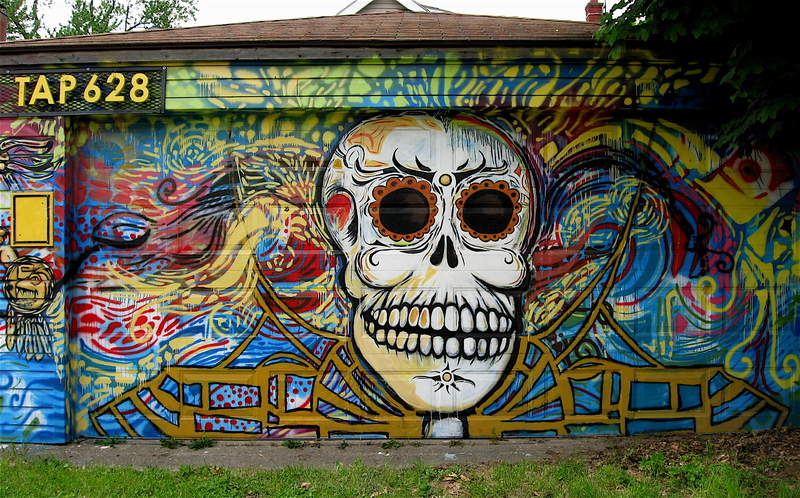 The organization promotes self-expression through the creation of urban art. It also encourages and promotes individual responsibility by requiring their young members to clean-up and maintain the alley and surrounding area. They believe hands-on ventures, like TAP, will help urban young people learn and grow culturally and socially in a clean, safe, and legal environment. 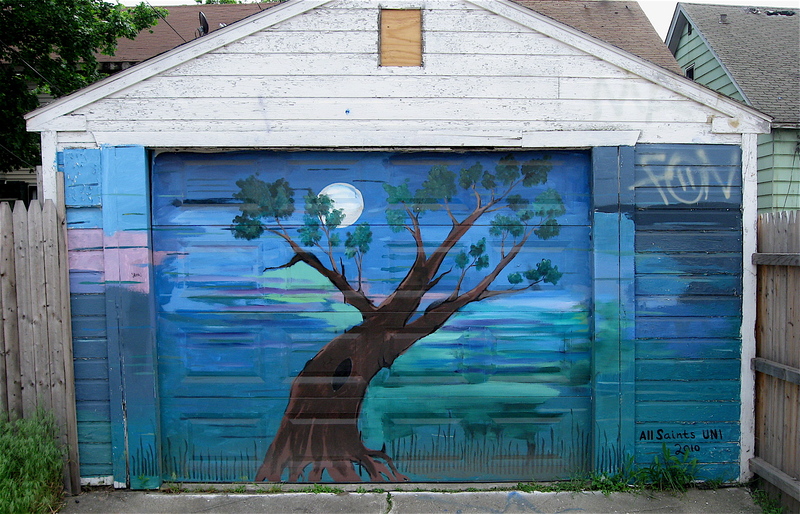 The wall art on the garages and wooden fences lining the alley is amazingly diverse. 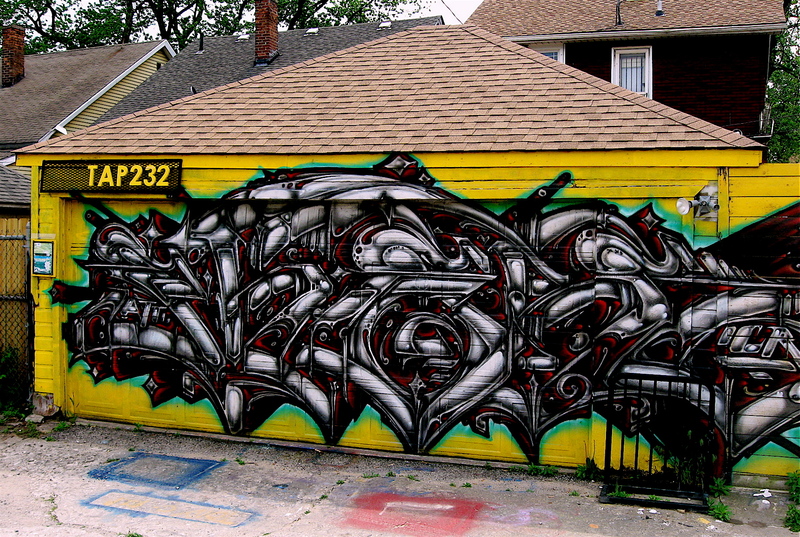 There are monster sized, intricately designed graffiti masterpieces that feature flowing lines and letters that are almost impossible to read. 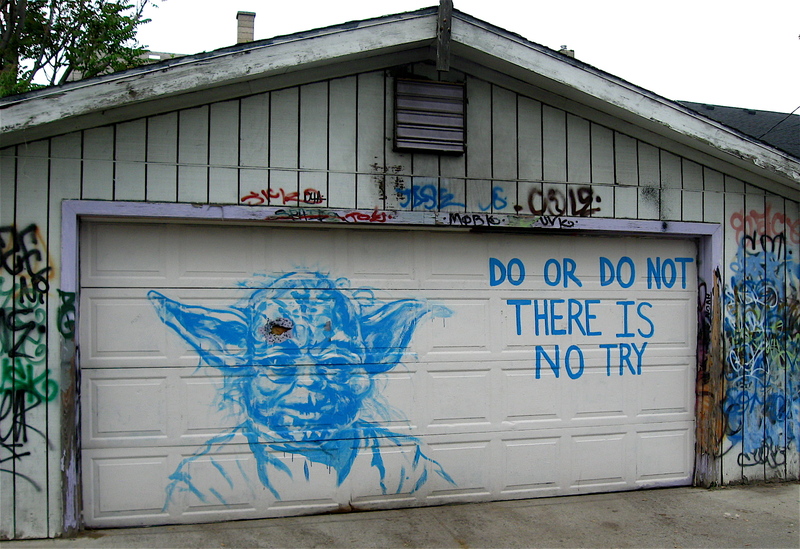 Murals cover many of the garage doors facing the alley. The multitude of images varies from the solar system to a skeleton head surrounded by a vast array of bright colors. There are painted graphic designs that seem three-dimensional, a number of unusual caricatures and simple, yet powerful written messages. 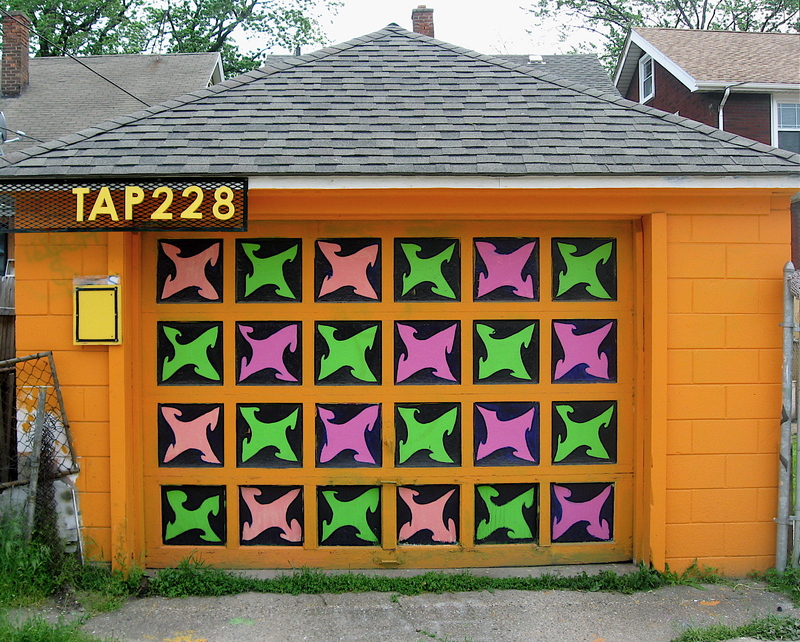 The TAP project is located on Avis Street, a compact street full of small frame and brick homes. It runs between Woodmere and Eismere Streets. The alley can be entered through an art-filled common area off Avis St. that was created by the organization. On the corner of Newport and Canfield Streets in Detroit is an old school. It’s an elegant old school, constructed of brick. The land it sits on takes up a full city block. 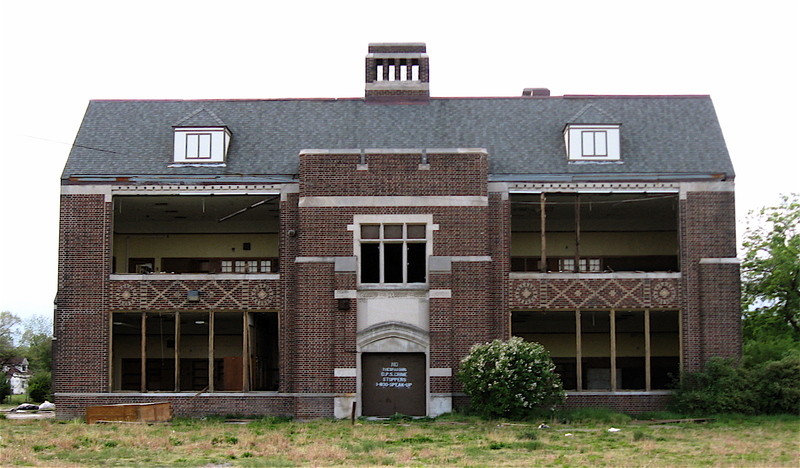 The sturdy multi-level building has stood there since 1924, and like many schools in the city, is no longer in use due to a shrinking population. The surrounding neighborhood was once packed with small wood framed homes, full of families the school once served. However, only a few of those homes remain there today. 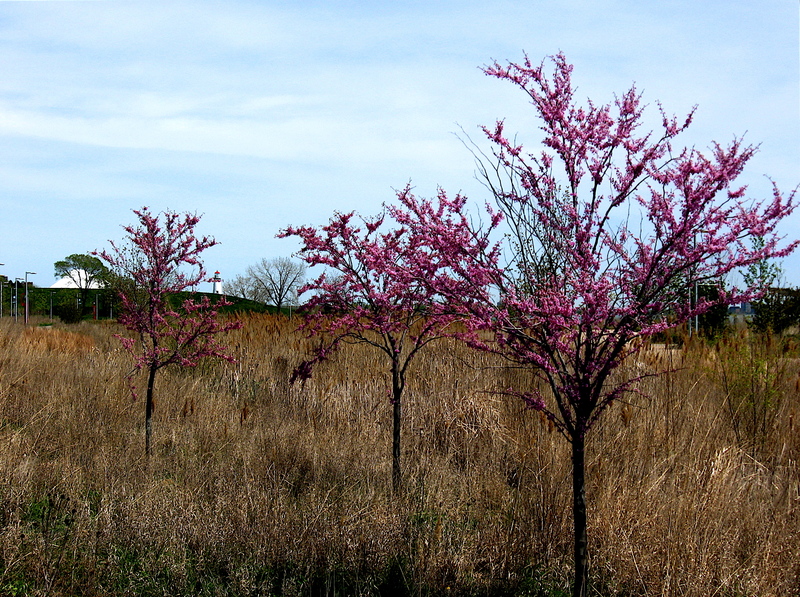 The lots where the homes once stood have reverted to fields, and some of them are now being used as community gardens. 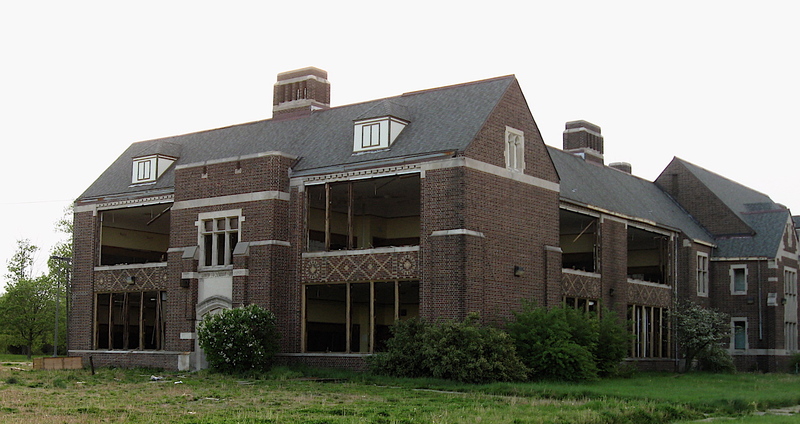 I’ve ridden by that vacant school many times over the past couple of years, and it has always been well maintained. The doors and windows were always secured as a deterrent against vandals and scrappers. Unfortunately, that has recently changed. 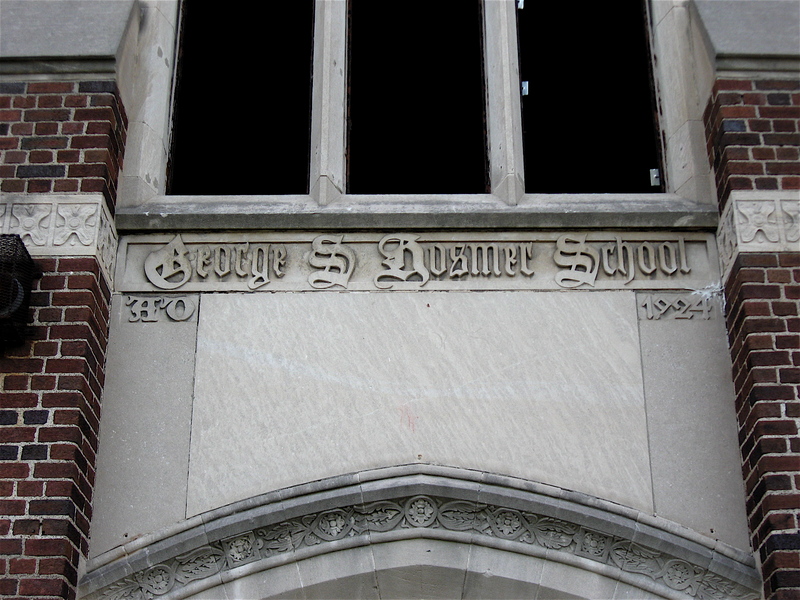 Sadly, George S. Hosmer Elementary has recently been victimized by scrappers. 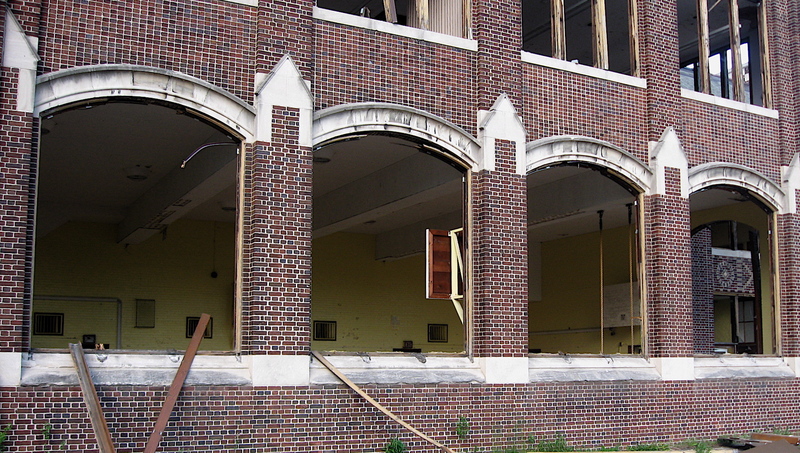 The window coverings have been removed, and every window on all floors of the school has been taken out. I assume the windows’ steel frames were ripped out and sold for pennies on the pound at a scrap yard. Looking at the place closely, I was amazed at the building’s craftsmanship. The tall window openings are surrounded by stone, and the few arched windows in the building have subtle carvings. The entrance door frames are quite decorative. The school’s name and build date are incorporated at the top. They appear to be hand carved. Stone also highlights the overall exterior, and the impressive brick work incorporate some nice round designs, adding architectural interest to the building. Peering through the open window casements, I spotted a beautiful fireplace in what I think was the library. I saw plaster crown moldings that looked like new in an auditorium. 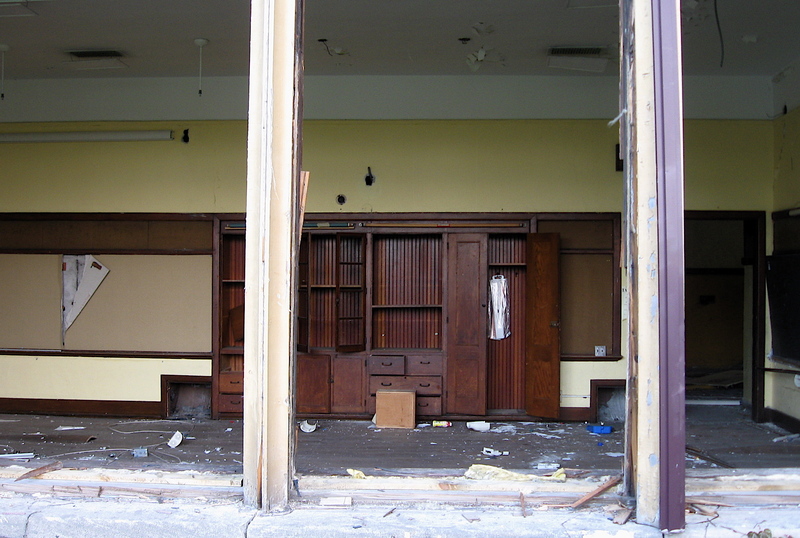 Most of the rooms had oak paneling and shelves, some with books still stacked on them. The bathrooms contained solid marble walls and the gymnasium floor looked to be in great condition. It’s a shame to see such a well-built, outstanding building now standing open; an openness that will surely lead to further vandalism and decay. 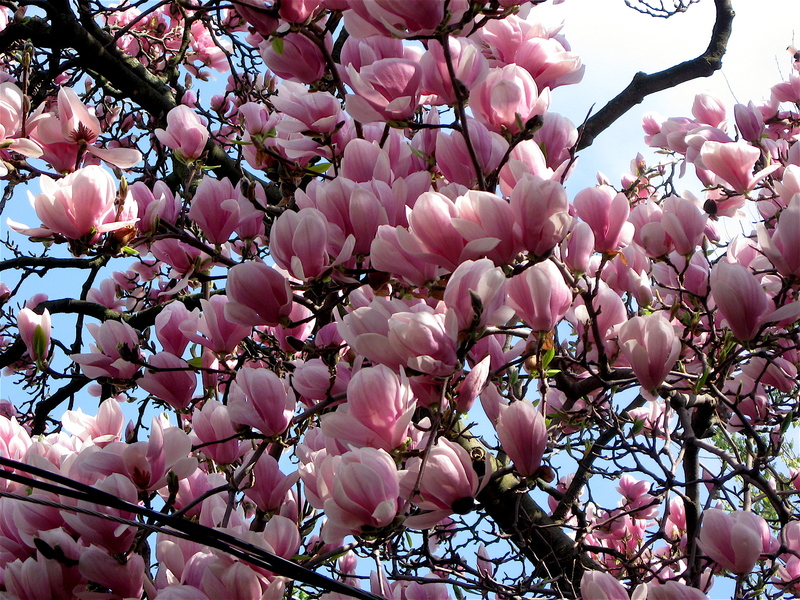 As I was poking around, one of the neighbors walked by and said, “It’s a damn shame isn’t it? This place was boarded up not that long ago. Now look at it! They should have turned it into a rec center for the kids.” I had to agree, it is a damn shame.